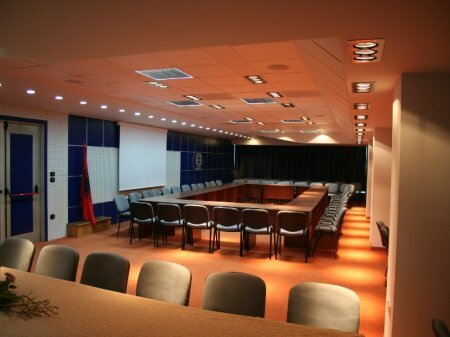 Located close to the centre of the city, a few meters from the sea, Vlora International Hotel offers a great opportunity to visitors who would like to combine business visits with the possibility to explore Vlora. You can discover on your own the city center, the museums, the shops and the nice bars. The hotel has finished a total reconstruction in August 2007 becoming truly a hotel of a deluxe category. 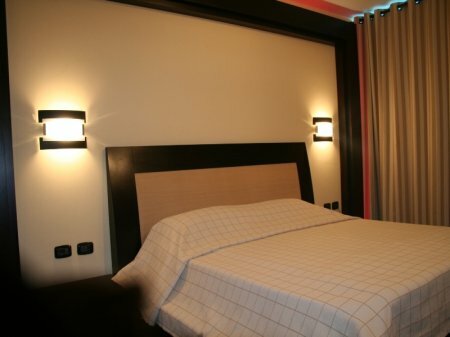 In terms of facilities it is by far the best hotel in Vlora and one of the best in Albania. Furthermore it offers a gym, an indoor swimming pool, and several meeting facilities making it a perfect venue for business events. There is a total of 72 rooms in this hotel, of which 45 doubles, 11 twins, 10 triple, 3 junior suites and 3 Suites. Reservations cancelled at least 24 hours, prior to the arrival date, will be fully refunded. Cancellations less than 24 hours, prior to the arrival date, will be charged for the first night. In high season (01/06-31/08) reservations cancelled at least 48 hours, prior to the arrival date, will be fully refunded. Cancellations less than 48 hours, prior to the arrival date, will be charged for the first night.